Non-US sellers can have a difficult time when selling on Amazon especially if they are not educated with the tax rules. The US Government and US Tax Law essentially dictates that companies such as Amazon have to withhold money for taxes if they do not fill out their tax form properly. In the case of many, this is a 30% withholding and can really hurt your margins, especially when selling on print on demand. If you are from the United States, you can probably turn back now as you will not gleam much information from this article that you do not already know. 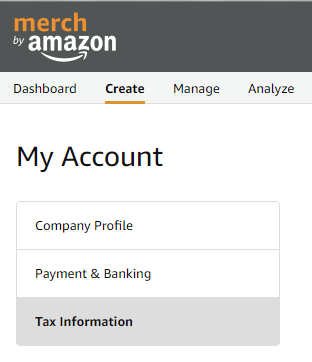 However, if you are not an American and just got accepted to Merch by Amazon after applying, then you probably remember filling out the Amazon tax form. You probably were also shocked that Amazon is going to withhold 30% of your earnings before you even get paid. 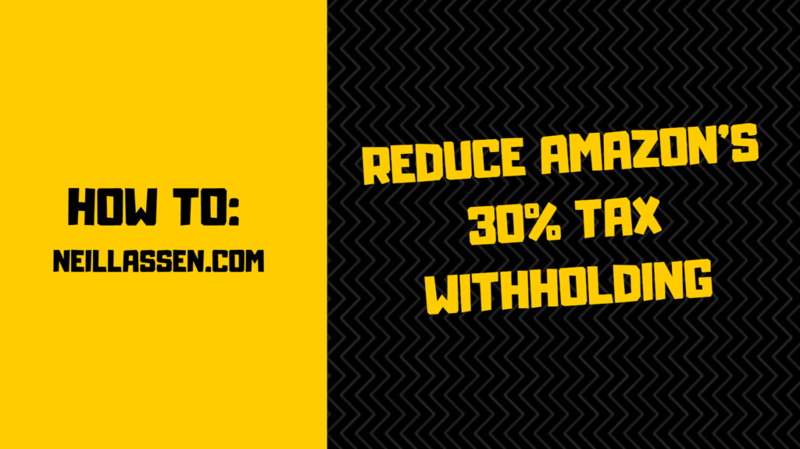 This 30% is taken from your total royalties and not from the base cost plus fee that Amazon takes. This means these royalties that they withhold are something you will never see in your bank account unless you follow this article. Automatically losing 30% from your hard work in the print on demand space can really hurt. However, if you are from a country that has a tax treaty with the USA, then there is actually something you can do to decrease this tax withholding and in some case remove it completely from your account. This means you make more money for yourself, but you will also need to pay tax on your earnings in your country! Steps to grab an EIN to reduce the tax withholding on Amazon. Before we jump into this article, I just want to state that I am from the United States. That being said, there are tens of thousands of sellers who are not from the US and are from countries that have to deal with this tax withholding. I get asked every day how they can reduce this or if there is anything they need to do. I put together this guide to help you save tens of thousands of dollars in withholding tax during your print on demand journey which otherwise would have just gone to the government. Note: I am not an accountant, tax man, or layer. Please consult an accountant when it comes to paying taxes on the royalties that you receive through print on demand platforms. Trained professionals are worth every penny! If your country is not in the list above, then you will want to check the IRS (internal revenue service) website here for the full list of countries: https://www.irs.gov/businesses/international-businesses/united-states-income-tax-treaties-a-to-z. Example: Say Thomas was an American who was living in Mexico and doing Print on Demand. He would be subject to 10% tax withholding. However, if Thomas were to set up his company in the USA, then he would get his tax withholding down to 0%, giving him the full amount of royalties. This means he would still need to pay taxes, but the 10% amount would not be withheld from Amazon. After you have gone through the country list to see if you are eligible to lower your tax withholding rate on Amazon, you need to get a tax number called an EIN. This stands for Emplyer Identification Number. There are also numbers called ITIN (Individual Tax Identification Number), but in order to get one of these, you will spend a lot of time and headache dealing with the government that no one wants to go through. If you have one already, you can use this. If not, you will want to follow this guide. 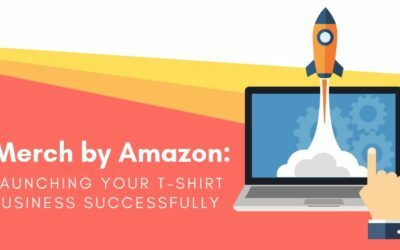 For Amazon sellers, you are essentially running a small business. This makes you eligible to get an EIN from the American IRS. Even if you do not live in the USA, you can get one of these from the comfort of your own home. Note: Amazon has changed a few things around. You may be able to use your local tax number when filling out the Amazon Tax Form. For most countries, this will automatically lower your withholding. If not, you may still need to get an EIN from the IRS by giving them a call. If this is something you need, follow the next set of directions. Getting your EIN is a really easy process and requires just a phone call after you have some information. It really comes down to making a phone call and asking for an EIN number. To make this really easy, you need to make sure you call them when the office first opens. Their hours at 7am-10pm Eastern Time. If you call them as soon as the office opens, there will almost never be a wait time. If you have a company, you will need to be able to explain to the IRS what your company does. Each one of these reasons is true, short, and to the point. They will ask you some questions about running your company in the USA. They will even ask some strange questions such as if you operate heavy machinery. Answer all the questions truthfully which should be easy. That’s it! After you answer their questions, they will give you an EIN number. You will want to make sure you write this down in a place where you will not lose it. When the IRS gives you an EIN, you can use it immediately which means you can continue to the next step., It may take some time before the IRS updates the EIN in their system, but you can still use that number on Amazon. Now that you have your EIN, you can lower your tax withholding. 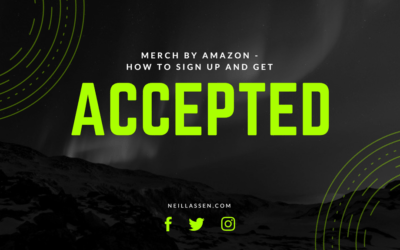 Go over to your Merch by Amazon account and log in. After you have logged in, go to my account in the upper right hand menu. From there, you just need to click on your tax information. Click on the “update tax information” button on this page and go through the interview process. When it comes to entering in your SSN or EIN, click that you have a USA EIN and then fill out the number you got from the IRS. Click on the submit form button, and you will be good to go. You should see that the new tax withholding amount has been updated. Keep an eye out in your email. Amazon may email you saying that the records from the IRS do not match up with what you entered. The reasoning for this is that the IRS can take up to a month to enter the EIN into their system. If this happens, just wait a few weeks and then follow the process again by putting your EIN into Amazon. After that, your withholding rate should reduce and you will not get an email from Amazon about records not matching up. Half of the people that I talked to every day (actually more than half), have so many different tax questions! They ask about taxes, but are not willing to go to a trained professional. I do not understand this. This is a business and you need to treat it like one. Because of this, you need to go to your local tax accountant and start building a relationship with them. Having a great accountant will save you more money than you pay them! After you get set up with an accountant, explain to them that you are a general contractor and receive royalties. You are not in fact a t-shirt seller, but get royalties for each sale. You are essentially licensing them to Amazon, and they kick you back a cut. Show them the 1099 you get from Amazon and the accountant will know how to handle your local taxes from there. If you decide to set up a company in the future, you will need to switch up your EIN numbers. Companies can have EIN numbers as well, but these are different than the personal EIN that you just received. You will need to call the IRS again, but this time request an EIN for your registered business and not for yourself. 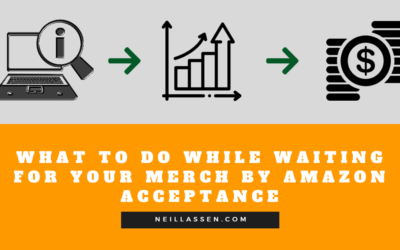 After you have done that, you can go back through the steps and update your number on the back end of your Merch account. Each time you make a company change when it comes to taxes and IRS numbers, you will need to make a call to the IRS which is not as painful as you probably thought! Enjoy your extra royalties and do not forget to pay your local taxes! I am not from the US and neither is my country listed in the IRS list. Do I still need to apply for EIN? In that case, Amazon will remove the withholding and you do not need an EIN.